Kate Lanphear poses for a photo during the Alejandro Ingelmo Presentation at The Standard Hotel - High Line Room on September 7, 2013 in New York City. Kate Lanphear paired her shirt with black slacks for a smart finish. 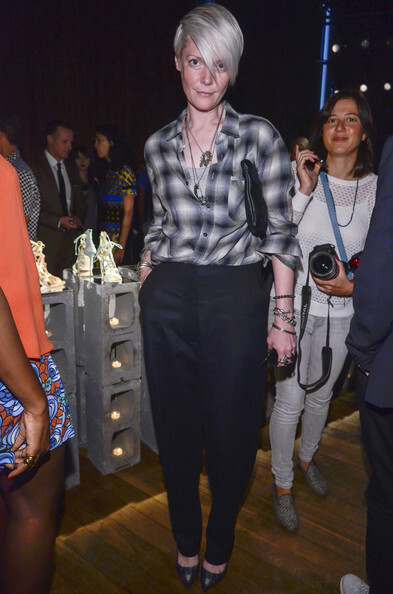 Kate Lanphear was menswear-chic in a plaid button-down during the Alejandro Ingelmo presentation.